We took our Originals and added in a little Shatner. Made with our soft, space-age 7 oz. Nylon that feels like Cotton, but wicks away moisture and protects the skin from harmful UV rays. 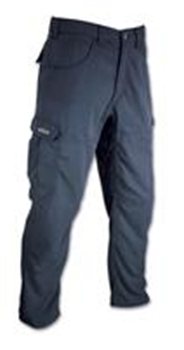 Articulated knees, Rugged Gusset™ crotch, cargo pockets on the thighs, and rear pocket flaps offer excellent performance and comfort in severe weather environments. Like the cold, merciless oblivion of space. Or the woods.